The Brisbane Lions will officially be playing against the Adelaide Crows on April 6th of this year. This will actually be the first home game of the season and many fans are excited to join in on the fun. The game will be held at The Gabba and it starts at 3:40pm. If you want to attend, it is a good idea to purchase tickets ahead of time. Besides, most tickets get sold out within a few weeks before the event. Getting your spots before the game starts will save a lot of time and hassle. You certainly won’t make the mistake of buying tickets from shady sellers in front of the gates again. 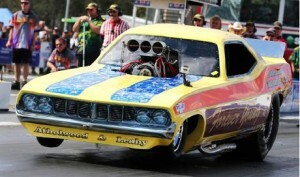 If you are traveling to the game from out of town then your brisbane car hire from the airport can be easily arranged. Be sure to bring your Brisbane Lions shirts, hats, and other accessories. The team would be nothing without their fans and supporters cheering them on. We love seeing people in the crowd, holding up signs and just kicking back while eating popcorn. Games like this raise money for the players and provide a exceptional entertainment for the family. We all know that Australian Football isn’t anything like Football in the USA. This sport is extremely fast and anything could happen within a few seconds. This is why the crowd is so focused on the game. 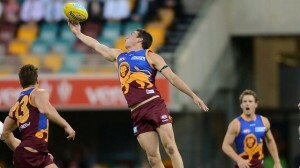 The Brisbane Lions are extremely fit and can run for a mile without even slowing down. They have been trained with discipline and perseverance. Brisbane Lions certainly hold a place in the hearts of fans who attend on a yearly basis or for those who go to every single game. This is one family event that you just can’t ignore, so be sure to bring everyone with you on the big play day.